Youth is a pretty general term and for that reason there is no age range defined as being a youth. It is most often described as the time before puberty. We have been describing it on this website as anyone 13 years old and younger. But every child reaches puberty at a different age, so you are the judge. All the other articles on this website about baseball training are written for players past puberty. But this article is being written to cover Youth Baseball Training for those players that haven’t reached puberty. Why are there different workouts for older, maturing players? While a child is still growing their growth plates, muscles and tendons are not ready to stand up to strenuous exercises. They could do a lot of these training drills if we knew they would not push it, but the risk is too large to try. As you will read here, there are plenty of safer exercises they can do for youth baseball training. 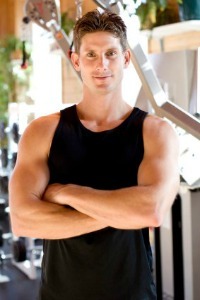 One of my son’s baseball teams hired a personal trainer to work with team over a winter. They all got together with the trainer once a week. They were about 16 years old at this time. Two of the players had younger brothers that we agreed could come to these weekly workouts. There was no weight lifting, so we thought it would be safe enough. One of the brothers was 13 and the other 12. I watched these two boys during the first three weeks of workouts. They lagged behind the older boys, but that was expected. But they also did not seem to put as much work or effort into the drills. They didn’t seem to know how to push themselves harder. After the first three weeks these boys never came back. Maybe younger players aren’t mentally prepared to start really working out and pushing their body. I know this is not a fair statement to make after only watching two young boys attempt these exercises. I’m sure there are some youth players who would push themselves very hard, but I’m thinking most won’t. 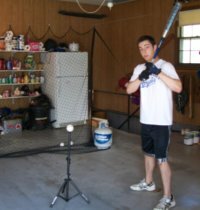 Another good reason to not to spend a lot of time working on youth baseball training is this time would usually be better spent on baseball techniques. 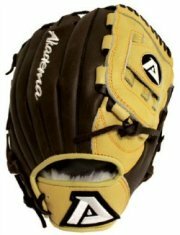 Pitching, hitting, fielding ground balls and all the other baseball skills that a player need to learn takes lots of time and reps to learn. You are going to see far more improvement in a youth player’s baseball skills working on baseball drills than on youth baseball training. Also, lots of kids will be playing other sports in the fall and winter. Football, basketball, soccer and wrestling are just a few of the “off season” sports that will provide plenty of exercise for young baseball players. Swimming is another sport that provides plenty of exercise. I’m sure you have heard of “burn out”. One of the causes of kids turning off to sports is parents pushing them to play another sport while at the same time continuing baseball training, or training for any other sport. Think long and hard before you take this approach. They need time to just be a kid. 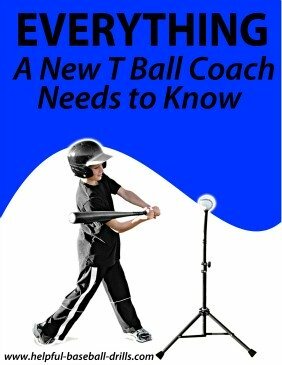 But after reading all this you and your son or players want some youth baseball training here are some ideas. Running is always good for training. It can be running some sprints, such as forty yard dashes (about half a normal block) or running long distances like a mile or two. 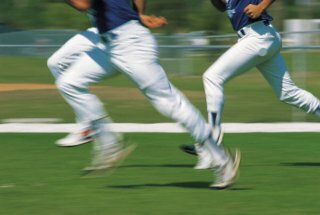 Long distance running is good for players who pitch. And along these same lines riding a bike is great exercise. I know it is not like the good old days when we could just take off and ride to the store and back. But if it is convenient to ride a bike, by all means encourage it. 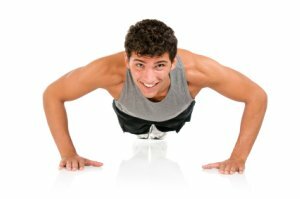 Some other great and easy exercises for youth baseball training are pushups, pull-ups and sit ups. Pushups and sit ups can be done just about anywhere. If the youth is really wanting to workout, have them get into the habit of going to bed a few minutes earlier, and doing some pushups and sit ups. OK, if the player still wants more after these exercises, then squat thrusts will really give them a workout. You start a squat thrust standing straight up, and then bend your knees and lower yourself until you are in a squatting position. Next you throwing your legs straight back behind you. You are now in a pushup position. From the pushup position you pull your legs back under your body so you are back to the squatting position. The next movement is to stand straight up again. You are now ready to go again. Some additions you can do to the squat thrust are once you are in the pushup position, go ahead and do a pushup. And after you bring your legs back under you, rather than just standing straight up, leap into the air as high as possible. All these exercises, when done on a regular basis, will improve anyone’s physical condition. They will help keep the body toned up and help prevent injuries. And another thing they will do for the young players is to mentally get them prepared for the tougher baseball training coming in later years. For the older kids just starting baseball training, getting over that mental hump is the hardest thing. Here is a listing of all the baseball training pages found in our website. We hope you find some useful information in these articles. I would tell you "Good Luck", but if you are working hard, you won't need any luck.